HELENA, Mont. (AP) — The Montana Senate has approved a measure that would require providers to ask women seeking abortions if they want to view ultrasounds and listen to the fetuses' heartbeats. The bill designed to make women reconsider having abortions passed the Senate 31-19 on Tuesday. It now goes to the House for consideration. NORFOLK, Va. (AP) — Russ Clark's favorite part of the ultrasound is when the medical students go for his gallbladder. His heart might not be in precisely the right spot, but it's there. Same with his liver. But his gallbladder? It was removed years ago, and the students can get confused searching for it. So "from a humorous point of view," that's his favorite. It teaches them that as you age, organs can shrink, grow or move around a bit. INDIANAPOLIS (AP) — An Indiana mandate that forces women to undergo an ultrasound at least 18 hours before having an abortion is "an undue burden" that saddles some women with lengthy travel and additional expenses, a federal appeals court ruled this week. LOUISVILLE, Ky. (AP) — A legal feud over stricter abortion laws in Kentucky reached a federal appeals court, where lawyers for an abortion clinic and Gov. Matt Bevin's administration wrangled Wednesday over requiring doctors to perform ultrasounds and show fetal images to patients prior to abortions. Rival attorneys for Kentucky's governor and an abortion clinic have presented legal arguments to a federal appeals court reviewing the state's attempt to require women seeking an abortion to first have an ultrasound. 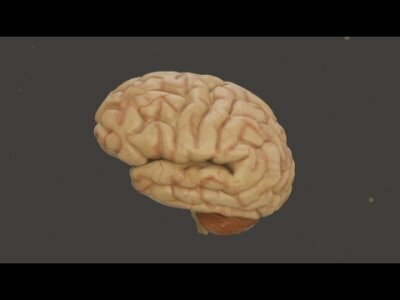 WASHINGTON (AP) — A handful of Alzheimer's patients signed up for a bold experiment: They let scientists beam sound waves into the brain to temporarily jiggle an opening in its protective shield. ST. PAUL, Minn. (AP) — A bill requiring doctors to give pregnant women the option to see an ultrasound before having an abortion has cleared the Minnesota Legislature. The House passed the bill Thursday by a 79-48 vote. A handful of Democrats joined Republicans to approve the measure, which the Senate passed earlier this month. MIRAMAR, Fla. (AP) — A Florida woman is suing an affordable housing complex she says refused to renew her lease because she didn't provide an ultrasound image while pregnant. ST. CLOUD, Minn. (AP) — A career as a sonographer can be likened to that of a detective. When gathering images with an ultrasound device, you need to know how to spot abnormalities and identify possible causes of a patient's symptoms. "You have to know what normal looks like," said Naomi Baker, a registered diagnostic medical sonographer at St. Cloud Hospital. "So when you see abnormal, you may not know what it is that you're looking at, but you know that that's not normal." Sheriff's deputies in Florida stopped a man and woman from entering a technical college after someone called warning that the pair wanted to "take over the school by force." PENSACOLA, Fla. (AP) — Sheriff's deputies in Florida stopped a man and woman from entering a technical college after someone called warning that the pair wanted to "take over the school by force." Administrative director Greg Davis says the Florida Institute of Ultrasound in Pensacola went into lockdown Wednesday when they learned of the threat. NASHVILLE, Tenn. (AP) — The Republican-led Tennessee House has passed a bill that would require doctors to offer women who are getting abortions a look at an ultrasound, if one was performed beforehand. The House voted 74-20 Monday on the bill by Republican Rep. Micah Van Huss of Jonesborough. If a woman decides to see the ultrasound, the bill would require the medical professional to tell her whether a fetal heartbeat was detected. October is Breast Cancer Awareness Month, and although many people are aware of breast cancer and its risks, it's easy to forget early detection and treatment are key to fighting breast cancer. Two of the most effective ways of detecting and tracking breast cancer are via sonography and mammography. Oncologists rely on these imaging modalities to identify cancers, determine the best course of action and review tumor growth over the course of treatment. When I start examining a joint with ultrasound, several times my patients have joked “if I see a baby in their shoulder/knee or not?” In fact, ultrasound is widely known as a test to visualize a fetus during pregnancy. But recently, the ultrasound transducers have such great resolution that it can be used to visualize the tendons, muscles, ligaments, and joints that previously only MRI could visualize. INDIANAPOLIS (AP) — A federal judge has blocked an Indiana mandate forcing women to undergo an ultrasound at least 18 hours before having an abortion, ruling that the requirement is likely unconstitutional and creates "clearly undue" burdens on women, particularly low-income women. LOUISVILLE, Ky. (AP) — Kentucky's new law requiring doctors to conduct an ultrasound exam before an abortion, and then try to show fetal images to the pregnant women, came under withering attack Thursday in federal court. Kentucky's new law requiring doctors to perform an ultrasound exam before an abortion has come under attack by opponents seeking a court order to block it. Two pro-life abortion bills passed by the Wyoming Legislature during its 2017 general session don’t seem like they’ll greatly affect women seeking the procedure in the state. But that doesn’t mean local experts agree on whether the bills are a good step for women’s health care. CHEYENNE, Wyo. (AP) — The Wyoming Senate has passed a bill that would require doctors to offer an ultrasound to women seeking abortions. The bill passed in a consent list Monday goes back to the House to consider a change the Senate made. Senators removed a provision requiring a doctor to obtain a signed confidential statement from the woman that she was offered an ultrasound. Joyce Carol Oates’s new novel, “A Book of American Martyrs,” arrives splattered with our country’s hot blood. As the Republican Congress plots to cripple Planned Parenthood and the right to choose hinges on one vacant Supreme Court seat, “American Martyrs” probes all the wounds of our abortion debate. Indeed, it’s the most relevant book of Oates’s half-century-long career, a powerful reminder that fiction can be as timely as this morning’s tweets but infinitely more illuminating. With expanded clout in the Legislature for Republicans, who earned a split in the Senate and picked up seats in the House last November, a disconnect between the party’s social conservative and moderate wings over anti-abortion legislation is creating an awkward tension. LOUISVILLE, Ky. (AP) — The rancor between Gov. Matt Bevin and Attorney General Andy Beshear intensified Wednesday, as they exchanged harsh words over the defense of a new Kentucky law requiring doctors to perform an ultrasound before an abortion. In a Facebook video sparking the latest verbal slugfest, Bevin accused Beshear of failing to adequately defend the law against a legal challenge, calling the AG's action's "absolutely unconscionable" and "dishonorable." CASPER, Wyo. (AP) — A Wyoming lawmaker is introducing a bill that would require doctors to offer ultrasounds to women seeking abortions. The Casper Star-Tribune reports (http://bit.ly/2jpRuev ) that Rep. Chuck Gray, a Casper Republican, is sponsoring a bill that would require doctors to inform women 24 hours before an abortion that they have "a right to view an active ultrasound" of the fetus and listen to the fetus' heartbeat, if possible. LOUISVILLE, Ky. (AP) — Attorney General Andy Beshear said Tuesday he's ready to defend Kentucky's new law that requires doctors to perform an ultrasound prior to an abortion, but declared his unwillingness to represent the state if its 20-week abortion ban faces a court challenge. That law prohibits abortions in Kentucky after 20 weeks of pregnancy unless the mother's life is in danger. Beshear said his office's review determined that law is "clearly unconstitutional." LOUISVILLE, Ky. (AP) — Fighting back against the Republican majority in Kentucky's legislature, abortion-rights supporters filed a federal lawsuit Monday aimed at blocking a new state law that requires women get an ultrasound and have the fetal images described to them before having an abortion. FRANKFORT, Ky. (AP) — Abortion legislation stayed on a fast track Wednesday as Republicans flexed their expanded power to advance measures to ban abortions in Kentucky after 20 weeks of pregnancy and require ultrasounds prior to the procedure. The committee action — on just the second day of the 2017 legislative session — sets up potential votes in the GOP-led House and Senate as soon as Thursday on both bills. If passed, the measures would then flip chambers for consideration. BROOKFIELD — The Candlewood Lake Authority is exploring using “ultrasonic pressure” to control and prevent toxic blooms of blue-green algae. Authority and town officials heard a presentation about the technology Wednesday morning from Lisa Brand, sales manager for LG Sonics, the Dutch company that sells the specially equipped buoys that produce the sound waves. NEWARK, N.J. (AP) — A New Jersey-based pharmaceutical company has pleaded guilty to charges stemming from the sale of ultrasound gel contaminated with bacteria that infected more than a dozen patients.